Imagine being a hard working father who has lost his way with his family because of work, it’s Christmas Eve, and the one toy that his son wants is no longer in stock even after his wife asked him two weeks ago to buy it. He has gone to the toy stores only to get caught up in the worse case of Christmas shopping rush. However, the harder he tries the worse the situation becomes for him. From a continued run-in with the same police officer, a bizarre relationship with a mailman named Myron, and even a bad situation at a radio station with a bomb (which in this day and age and the fact that police were involved made for an uncomfortable scene) it seems that there is no way this father will find the toy doll his son so desperately wants for Christmas. This movie hearkens to some of those 80’s and 90’s tropes of Christmas movies (it is from 1996), but this time takes an extreme insane dark turn with those gags. 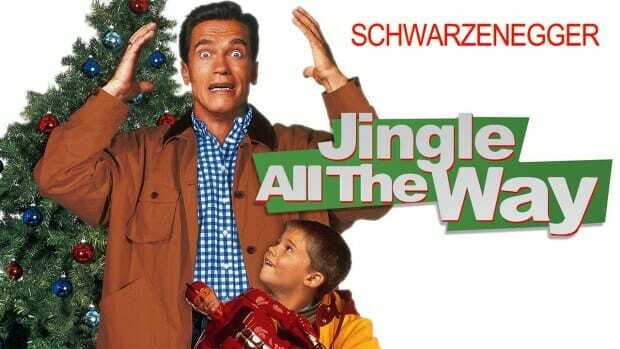 The movie stars Arnold Schwarzenegger as Howard Langston, the workaholic, absent dad, and everything he does trying to find the toy ends up being a nightmare, and yet it’s one dead end after another. Unfortunately being a Schwarzenegger film means it also has to have an action quotient, and that means this movie doesn’t quite know what to be. 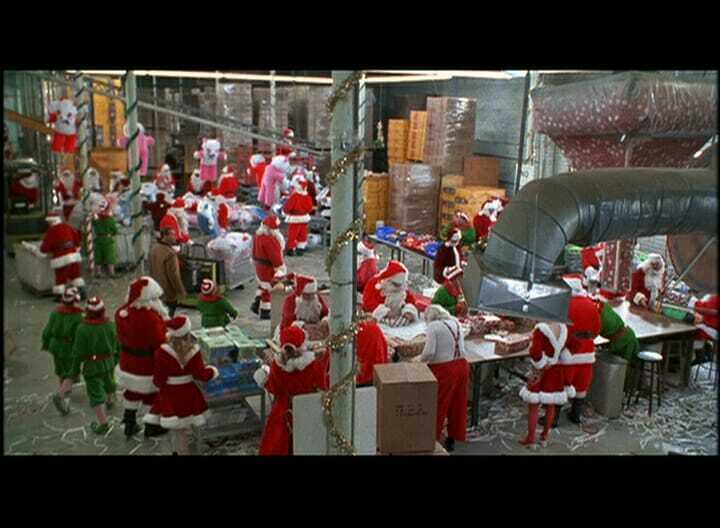 In order to keep it a Christmas comedy that works as a Schwarzenegger movie means creating some of the most bizarre situations, including having to deal with a Santa Syndicate that has a pro-wrestling Claus, and even a Kung Fu Claus. This creates for a very weird film that ends up failing on both counts. The Christmas side of things is pretty unpleasant showing the worst possible side of Christmas commercialism, and the comedy element just doesn’t come off as funny. As good as Schwarzenegger is with some aspects of physical comedy, he doesn’t quite come off here. Instead what we get is a lot of cringeworthy moments. Even the foil of this movie, Sinbad, is ridiculously over the top. When the big climactic battle takes place between Turbo Man (the character whose doll is so insanely popular) and his arch-nemesis, Dementor during a Christmas Parade (with Schwarzenegger and Sinbad playing those unintentional roles respectively) the superhero hijinks just made me shake my head. To add insult to injury there is Howard’s neighbor Ted (played by Phil Hartman) as he tries to woo Howard’s wife (Rita Wilson) while the parade is going on. Oddly enough the best thing in this movie is Howard’s son Jamie. He’s played by Jake Lloyd. Yes. THAT Jake Lloyd. Remember young Anakin Skywaker in Star Wars I: The Phantom Menace? That’s right! That very same Jake Lloyd. He actually comes off quite well as the child feeling neglected by his father, only to view Turbo Man as his true hero. He’s the one element in this movie that gives the movie a tiny bit of humanity amidst a sea of absurdity. If you’re looking for a quality Christmas movie to enjoy with the family during the holiday season there are far better selections out there to choose from. However, it you enjoy movies that are utterly whacked out and ask that you simply check your brain at the door, then Jingle All The Way might be for you! Previous “All the Creatures Were Stirring…” Including Some Monsters!